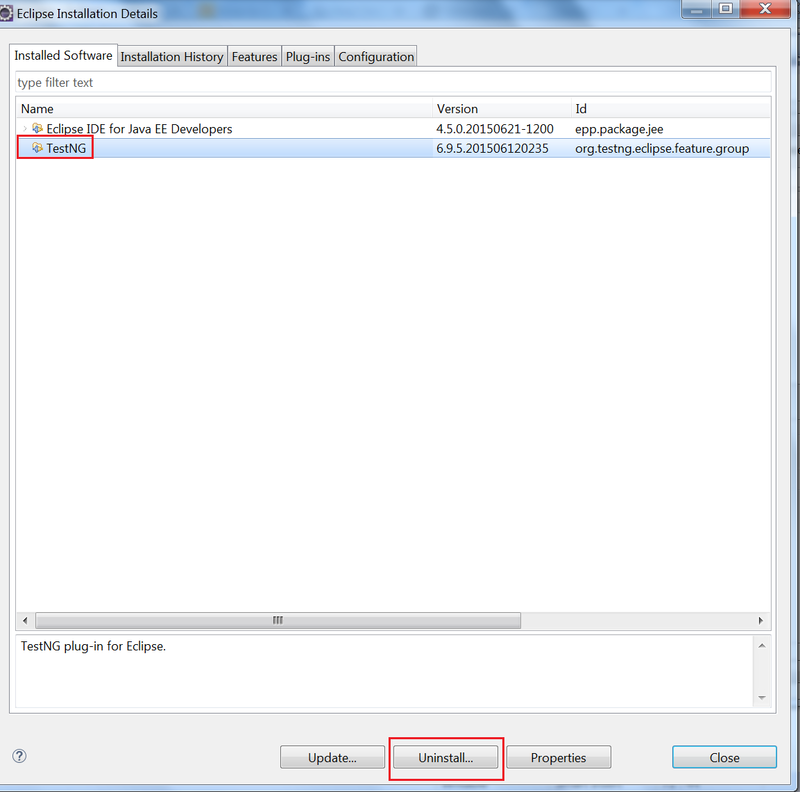 In the previous post,we have seen the installation of TestNG to eclipse. 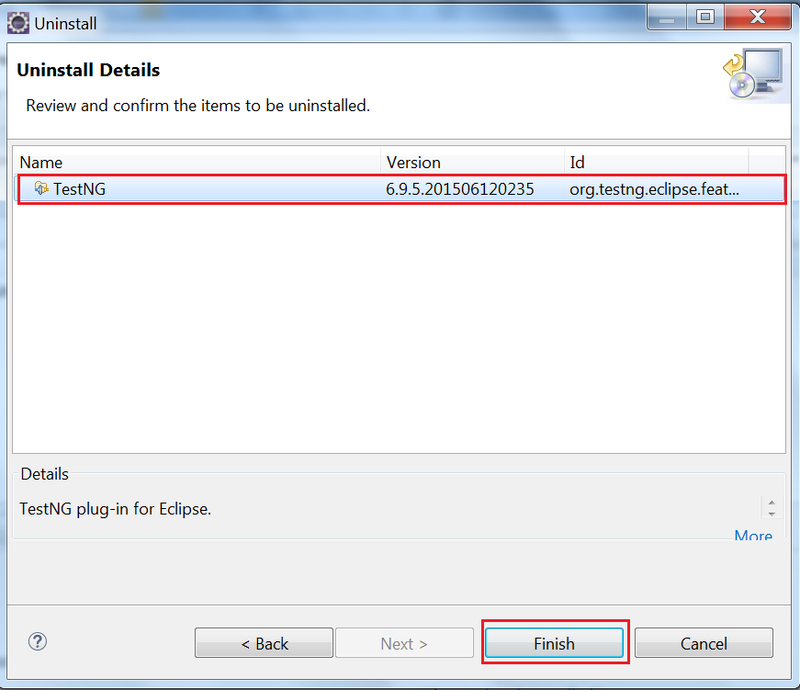 In this post, we will learn how to uninstall TestNG from eclipse if required. If any time you require to uninstall TestNG, then it is also very easy like installation. Let’s understand this with step by step. Step#1 Go to Help –> Install new Software. 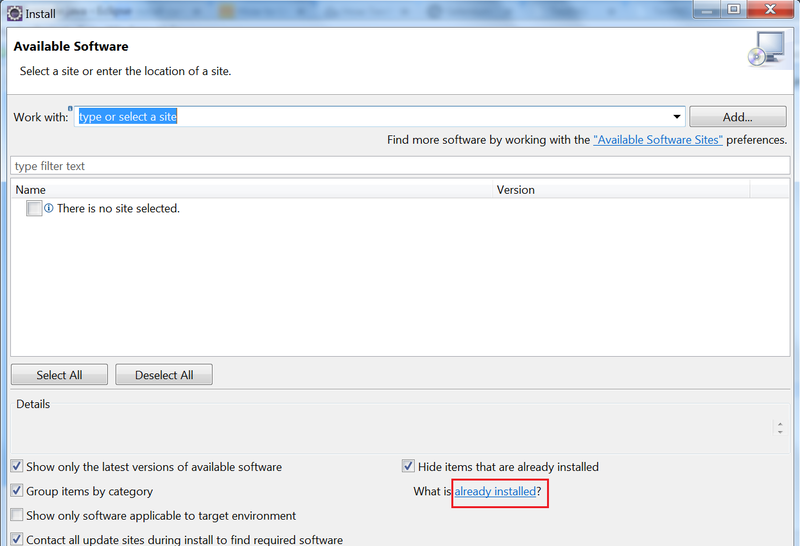 Step#2 Click at option “Already installed?” as shown in the figure below. Step#3 A window will open as given below. Select ‘TestNG‘ and click on ‘Uninstall‘ button. Step#4 Select TestNG option and Click finish. Step#5 Last step would be to restart the eclipse. It will ask user to restart eclipse to make the changes.